Present-Tense here giving daver a bit of a break. He’s at a swap mart in East L.A. somewhere hawking his live music VHS tape collection. I heard he has a deal on some Marcy Playground circa 1998. Actually he’s probably writing some more of these articles. Anywhoo…. I’m helping to dig deep into the 2014 Coachella Music Festival lineup, featuring one band per day. The purpose of this piece is to assist in difficult decisions that inevitably you’ll need to make, as well as, serve as a fun countdown to Coachella Week. Note: All bands appear in a completely random order… Enjoy, and let the countdown continue! 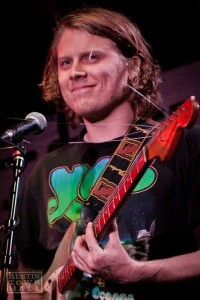 Ty Segall is a 26 year old cat who likes to play some psychedelic garage rock and he’s been at it since 2008. Being fan of psychedelic garage rock, I’m pretty psyched to check him out as I’ve enjoyed hearing his tunes on satellite radio. First off, the dude is a Renaissance man. He’s in like 18 bands (actually just Fuzz, The Traditional Fools, Epsilons, Party Fowl, Sic Alps, The Perverts, and Ty Segall Band). Fuzz being the most recent. Ty Segall has also released 8 solo albums(!!!). Wow, he is pretty prolific. I mean that’s like 1.2 albums a year! (Not counting his other bands). Ty Segall’s style consists of multiple genres, such as garage rock, punk rock, psychedelic rock, noise rock, glam rock, as well as heavy metal and classic rock. Segall likes the glam, as he is HEAVILY influenced by David Bowie (think Diamond Dogs) and Marc Bolan (T-Rex). It’s funny, how everything old is new again with these indie bands. Lately he’s been on a Neil Young kick with his latest releases. Whatever he brings to Coachella on Saturday should be pretty great. This year is pretty thin on bands I actually want to see, so Ty Segall’s set (provided there aren’t any conflicts) should be a must-see.